If there's something this city does really well, it's Rotorua Cafes. The perfect place to unwind after a long day. There's a European cafe culture feel here, so just sit back and relax with your panini and latte and watch the world go by. 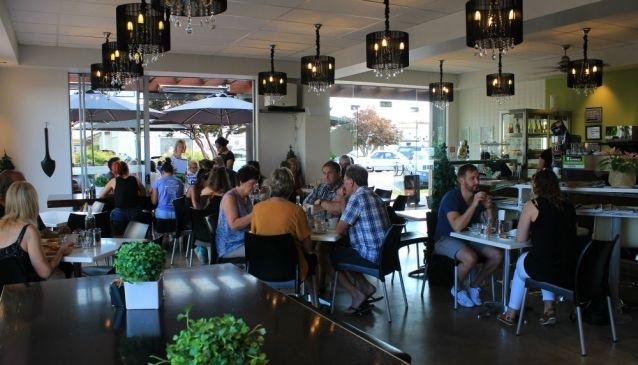 Cafes in Rotorua go from the high end, picturesque bistros by Lake Rotorua, to refined tea shops, and French-style cafes of the middle of town. There are countless places to just fall into and while away an hour watching the sights, sounds and smells of Rotorua. They'll all serve the usual sandwiches, paninis, cakes and pastries, and most will have a very good range of both teas and coffees. There's also a fair smattering of licensed cafes, so you can relax with a glass of wine and a soupy snack. Rotorua also has its fair share of baristas, so head for the top end of Fenton Street and Tutanekai Street, and pop into the lobby of one of the luxury hotels, for some of the city's best beans.